Between work and these thunderstorms we've been getting on a daily basis it's hard keeping up with everything that's flowering. 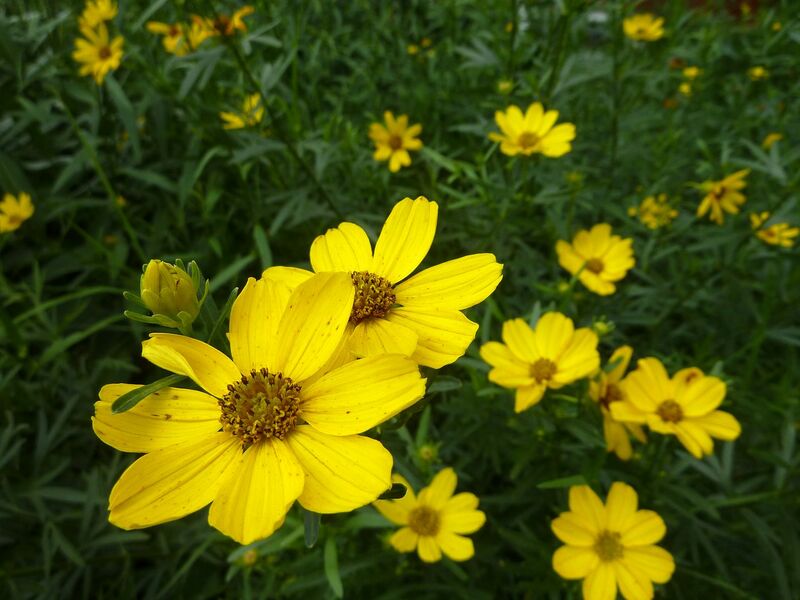 Although the other issue might be that Yellow is probably the most over used color of our native wildflowers. 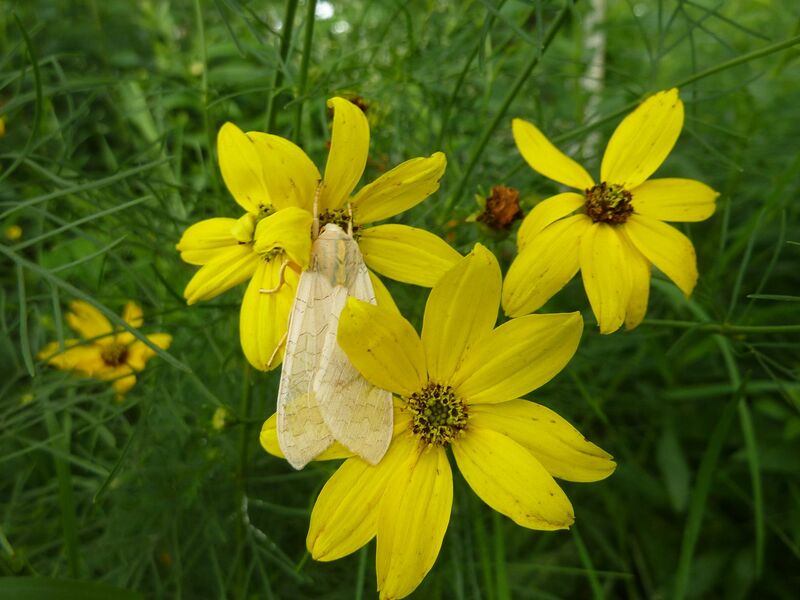 Whorled Coreopsis, C. verticillata, with what's been identified as a Banded Tussock Moth, Halysidota tessellaris, clinging to stay out of the rain to one of the flowers. The host plants to these are basically all the hardwood trees in the forest and the Willow-leaf Oak tree behind the garden was likely the host plant. The fun thing is I've actually found caterpillars of this species and not even realized it. They're basically white Woolly Bears with tufts of longer black hairs here and there. Stiff Coreopsis, C. palmata, has really been kicking but these past few weeks. They're not forming a carpet of yellow but it's enough that I'm seeing bees work them on a daily basis now. 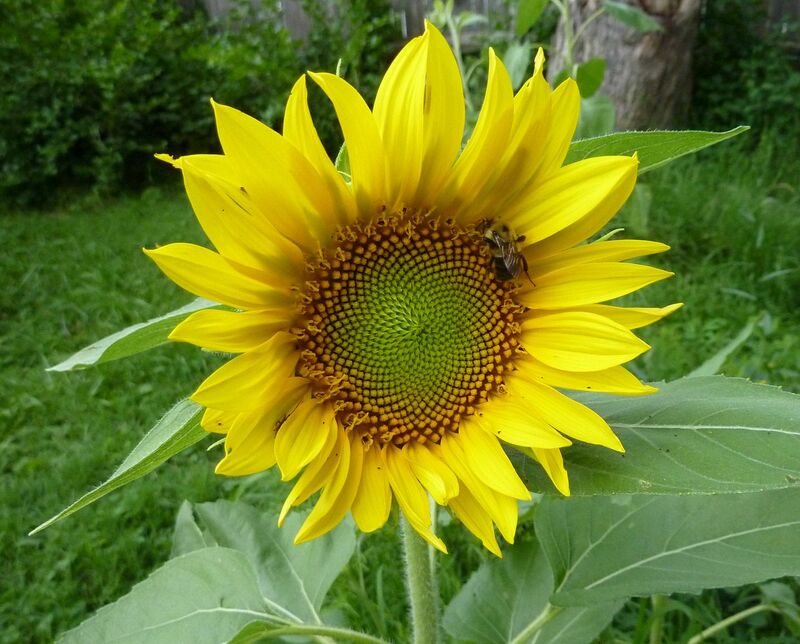 Annual Sunflower, Helianthus annuus, planted courtesy of messy birds at our bird feeder. I insist on only feeding them sunflowers because it's a native seed. 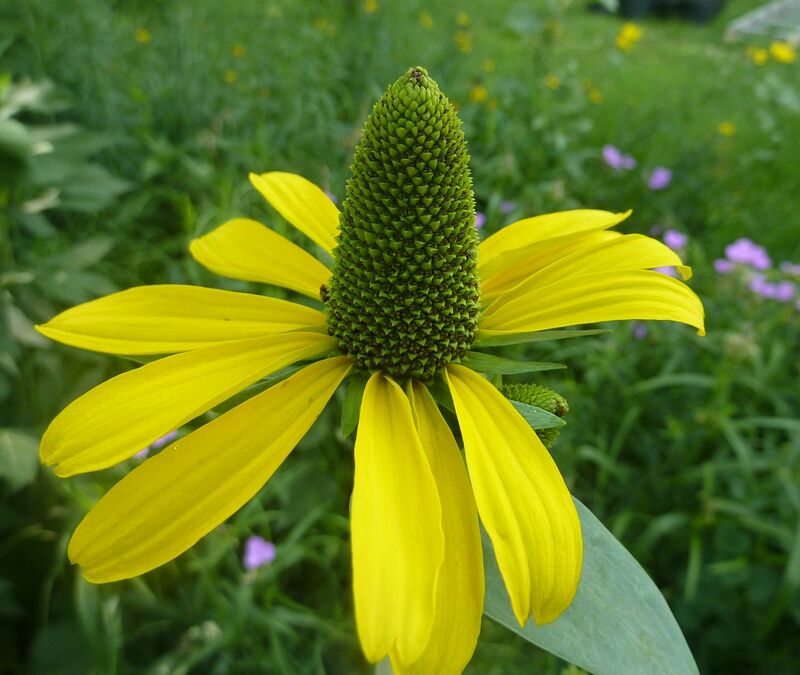 Prairie Coneflower, Ratibida pinnata, isn't a coneflower but close enough. They're not officially open yet but the petals are starting to push out and look nice on some of them. 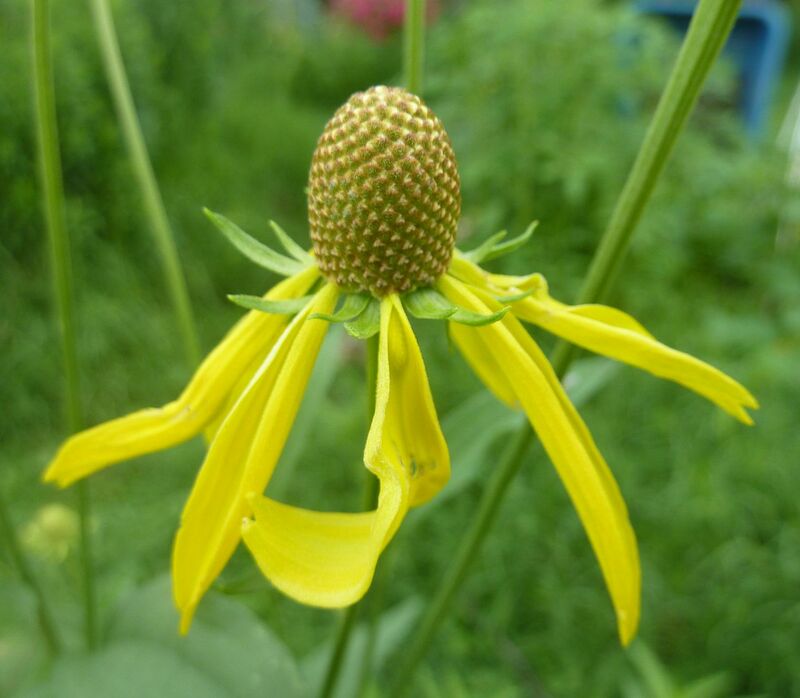 Greater Coneflower, Rudbeckia maxima, also not officially open yet, and also not officially a coneflower but close enough. 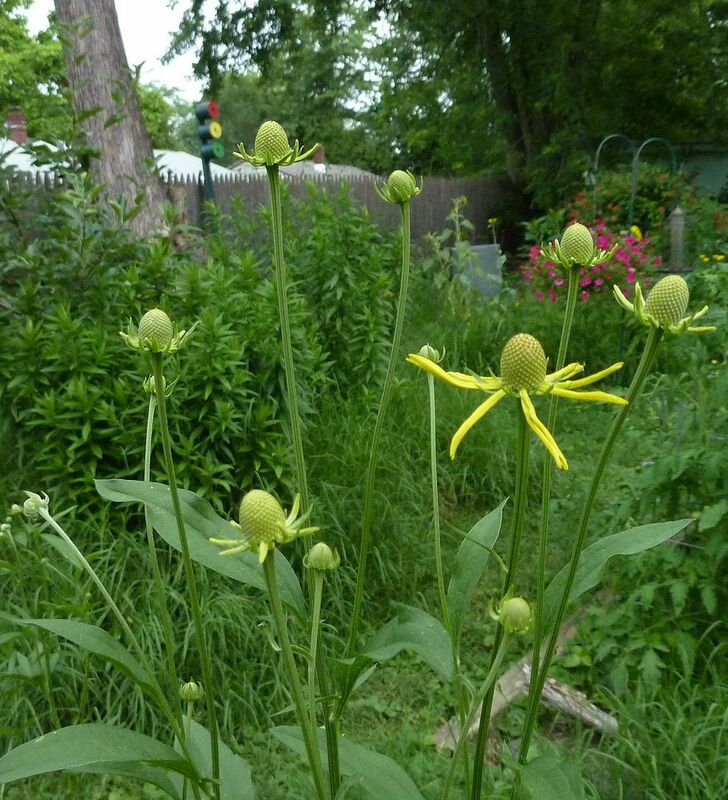 As it's in the Rudbeckia genus that makes it more closely related to the Black Eyed Susan, which is strange becuase they're 5' tall, have blue/gray foliage, and bloom earlier than any other Rudbeckia species at least in my garden.